I have several image files that were originally .png, but due to my own needs I changed their name to some custom extension .xyz. 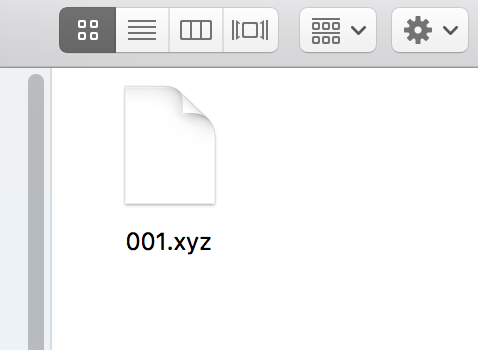 Is it possible to tell Finder to render the image for files with extension .xyz? Note that the file contents are identical to that of a .png file - it's just the extension which is different for my own needs. I am running macOS High Sierra 10.13.2. Browse other questions tagged macos finder preview graphics icon . How to add custom extension for QuickLook? Why can't I see thumbnails in the finder? How to not have thumbnails overlap in Finder?